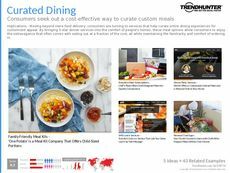 Find Better Ideas, Faster ® with a custom meal trend report, our PRO Dashboard and 80+ categories of premium trend reports. 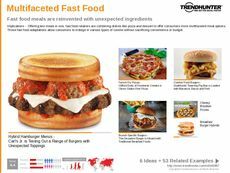 The Meal Trend Report features the latest pre-made meals, diet dishes and meal replacement substitutes. 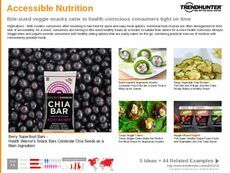 Within this report, readers will be submerged into the culinary industry as it applies to fast food and healthy consumption. 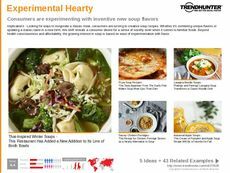 Using Trend Hunter's crowdsourced research, we will sift through the various eateries and companies that are supplying consumers with the most flavorful and culturally diverse dishes. We will also look at the unique dishes being offered by subscription services, healthcare facilities and wellness stores. 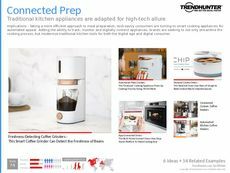 Lastly, we look at how consumers are making their own meals at home, and how brands are making it more convenient to cook homemade meals. This report will provide a great service to those working in the culinary industry. 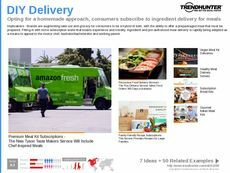 From restaurant chefs to food delivery companies, this report will ensure that readers are aware of the diverse industry services. It can also be valuable for those working in the healthcare and wellness industry to better understand the consumer demographics. 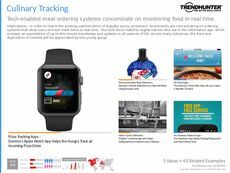 Whether you are launching a new diet plan or adding a new meal to your menu, the Meal Trend Report will ensure that you have the skills needed to remain in the forefront of your consumers.